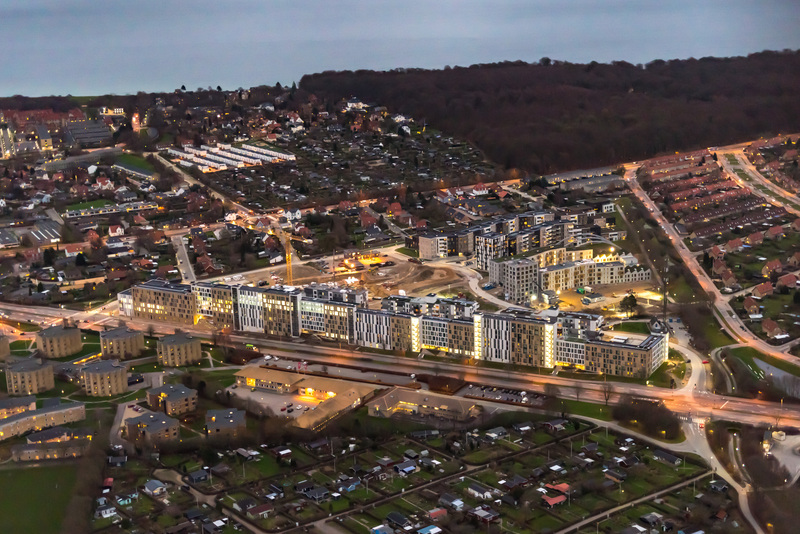 CapMan Real Estate II fund has acquired three residential buildings under development in Risskov in northern Aarhus, Denmark, from DOMIS. CapMan Real Estate is a Nordic real estate private equity fund manager operating from its offices in Helsinki, Stockholm, Copenhagen and London. We execute value-add strategies with a focus mainly on office, retail and residential assets in the most liquid submarkets in Sweden, Finland, Denmark and Norway. Our client base consists mostly of domestic and international institutional investors. Besides value-add strategies, we offer our clients also other select investment strategies such as income focused hotel and residential investments where our local value-add expertise can be utilised to enhance long-term returns. CapMan Real Estate team consist of ca. 30 dedicated professionals in the field of investment, asset management and property management and we manage assets of ca. EUR 1.7 billion in our real estate funds. CapMan Real Estate is part of CapMan Group, a leading Nordic private asset expert with an active approach to value-creation in its target companies and assets, with assets under management of €3 billion. CapMan has six key investment partnerships – Buyout, Growth, Real Estate, Infra, Credit and Russia – each of which has its own dedicated investment team. Altogether, CapMan employs 120 people in Helsinki, Stockholm, Copenhagen, London, Moscow and Luxembourg.